The Big Ten College Tour includes a tour of schools in Michigan, Ohio, Illinois and Indiana. This is a collection of elite universities in the Midwest featuring athletic prowess and academic recognition worldwide. 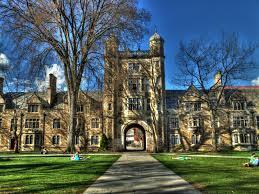 The Big Ten College Tour will give students a first hand look at an array of exciting colleges. Our team will work with counsellors and program directors to handle all the tour arrangements for your student group's college campus tour. Call us today to get your own CUSTOMIZED COLLEGE CAMPUS TOUR. Choose your preferred travel dates, then let us take out the guess work for you. Tour can be extended into Chicago to visit Northwestern University Campus. Hotels, attractions, transportation can be arranged to complete your college campus tour itinerary. Our team will work with key college contacts to provide no hassle campus tour itineraries for the best use of time, both before & during your visit.